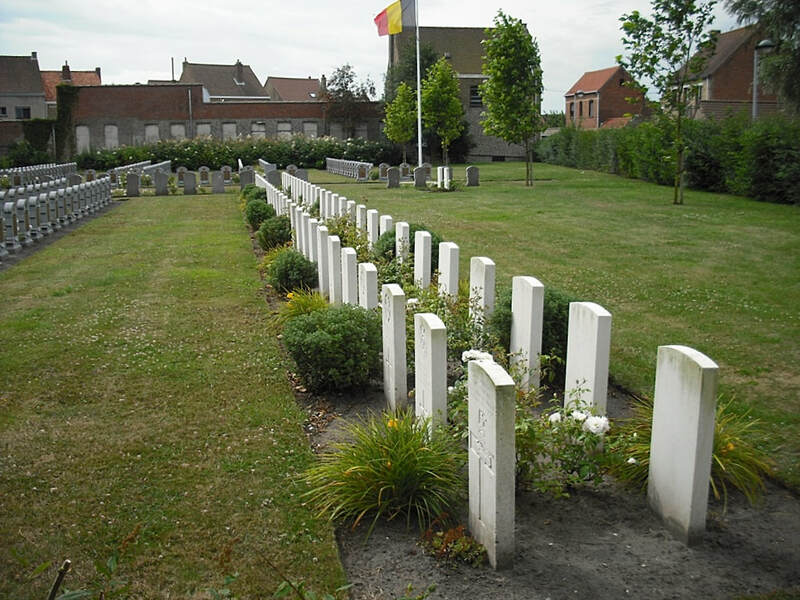 Adinkerke is located west of the town of Veurne on the N39. 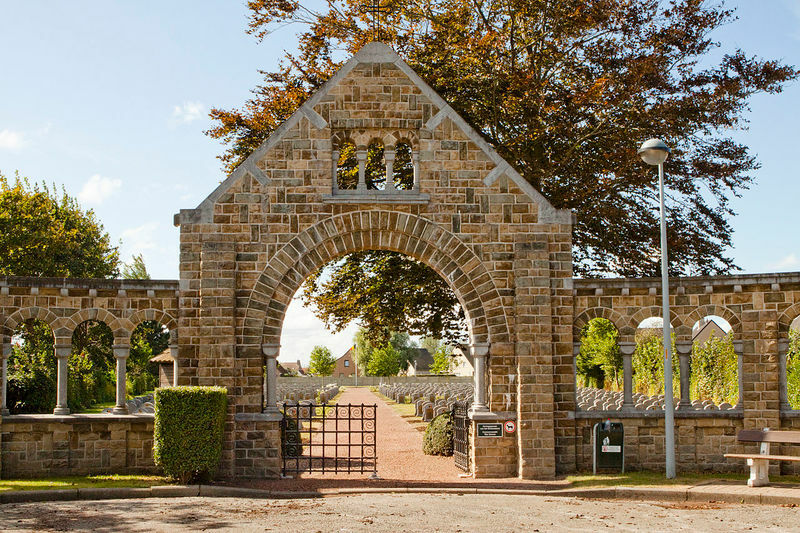 Driving along the N39 towards France, enter the village and go first left then immediate right into Stationstraat. This allows you to cross the canal. 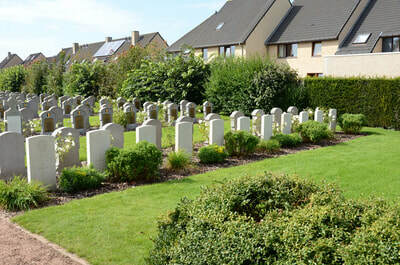 From Stationstraat go first left into Dorpstraat, go past the first turning on the right and the cemetery is on the right. From June - November, 1917, the British XV Corps held the line in this sector, and the 24th and 39th Casualty Clearing Stations were posted at Oosthoek (between Adinkerke and Furnes) between July and November of that year, and the 1st Canadian Casualty Clearing Station was situated in Adinkerke in June. Most of the burials here were made by these units. 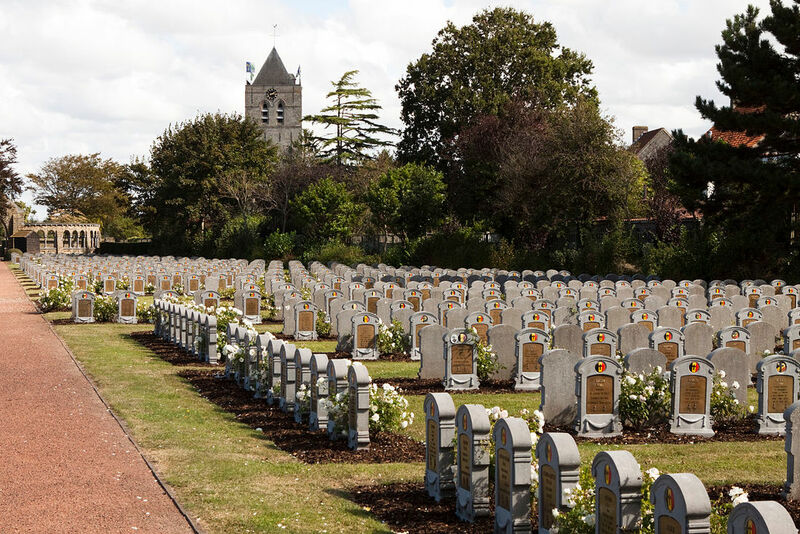 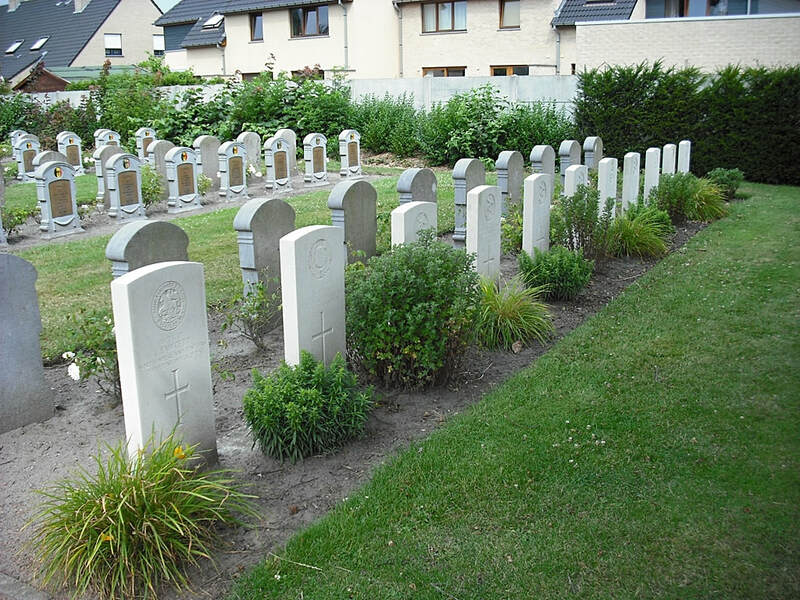 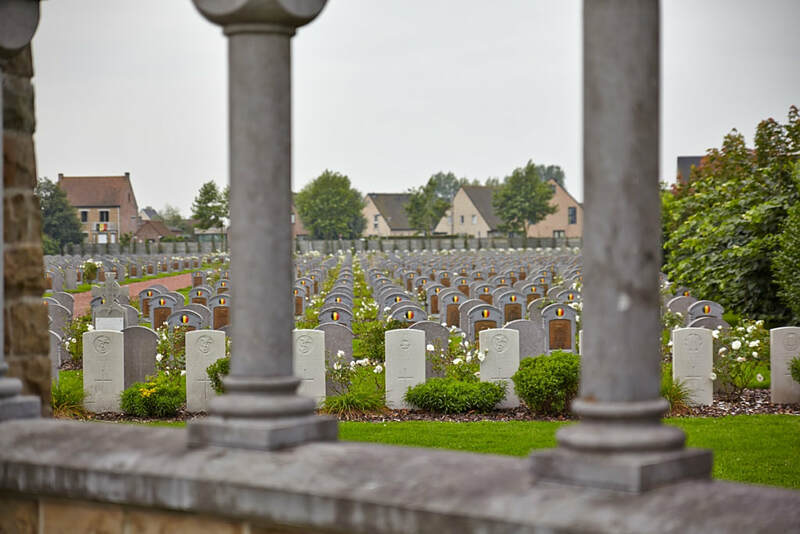 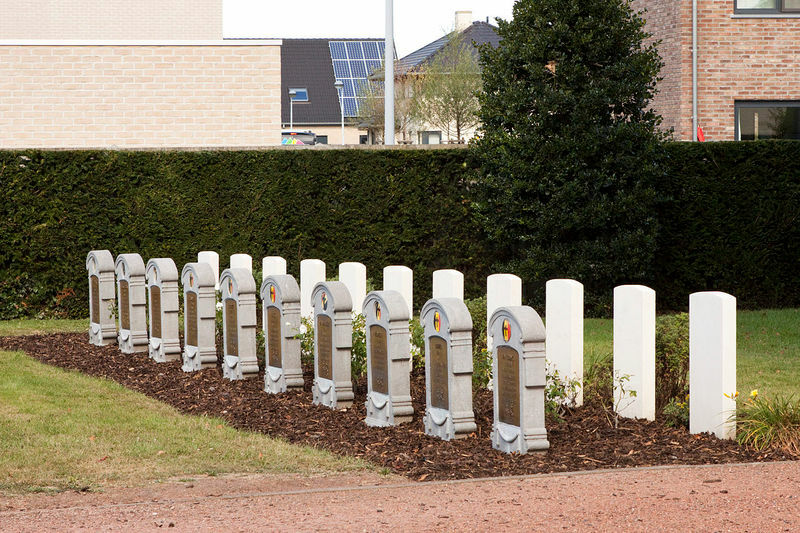 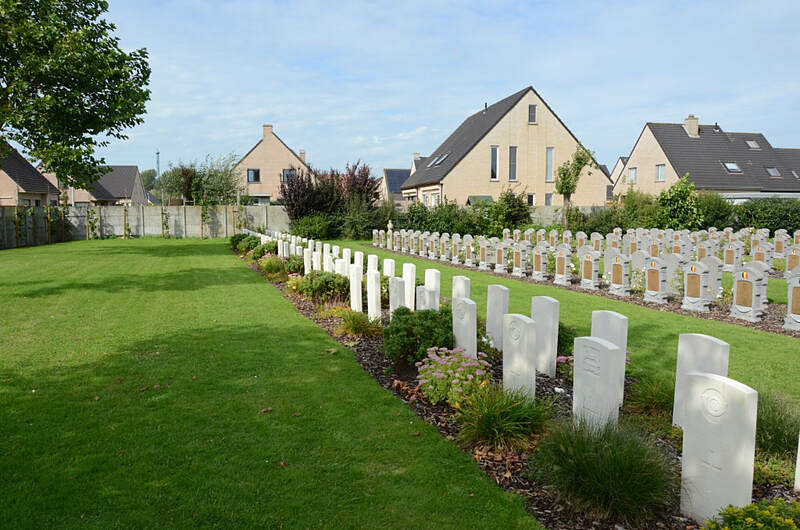 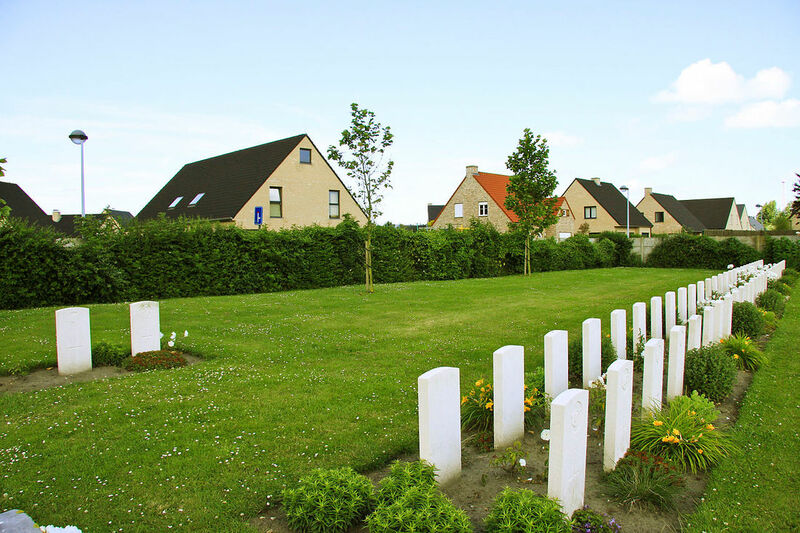 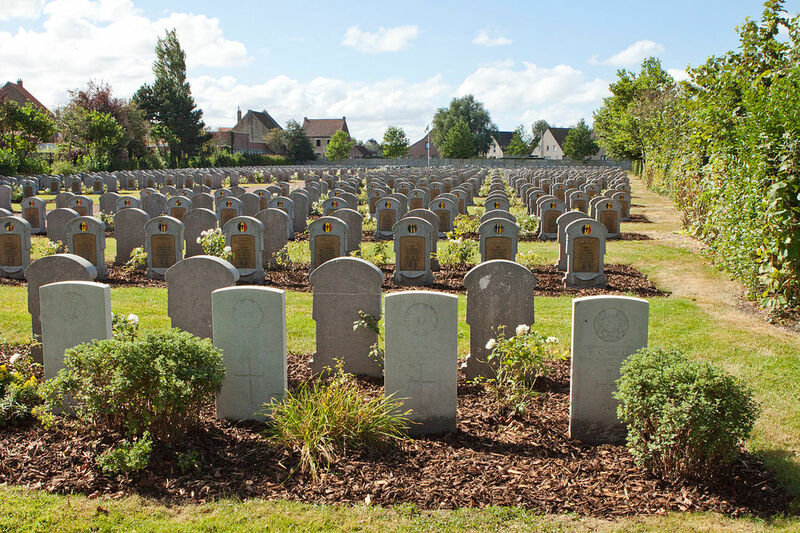 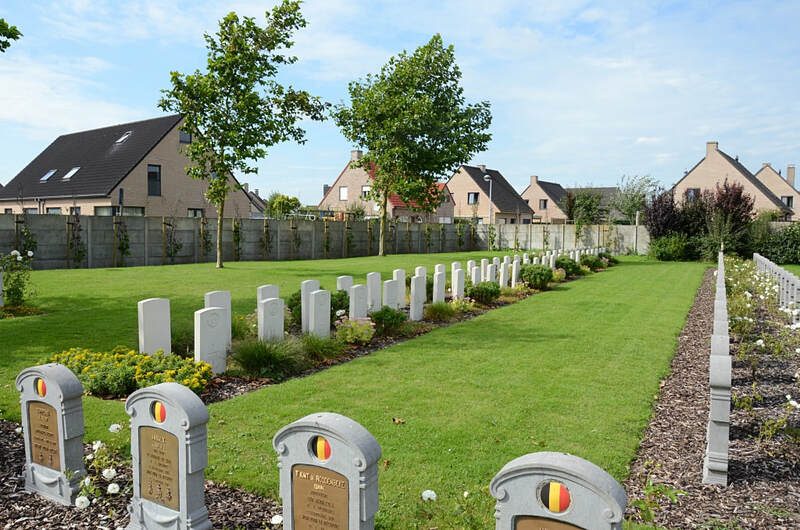 The Commonwealth cemetery lies within a Belgian military cemetery on the west side of the Churchyard. 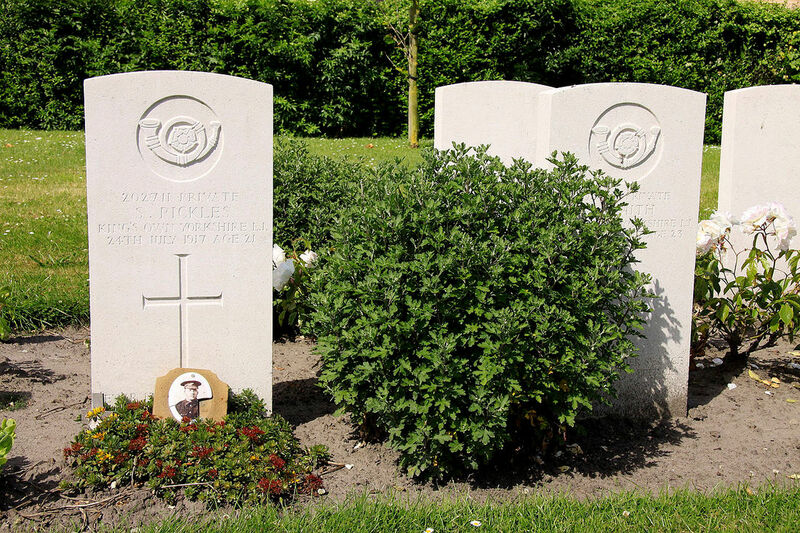 24th June 1917, aged 27. ​Remembered by his family and descendants.